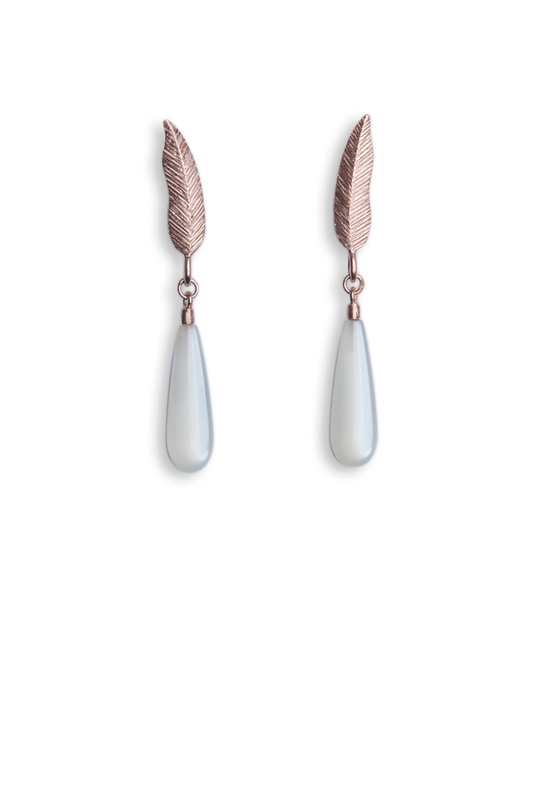 DIANA ARNO X TANEL VEENRE Rose gold feather earrings with moonstones. Rose gold plated sterling silver. Does not oxidise and lasts for years without changing its colour. As ancient as the moon itself, pearly moonstones still have that power of mystery and continue to encourage you daily.